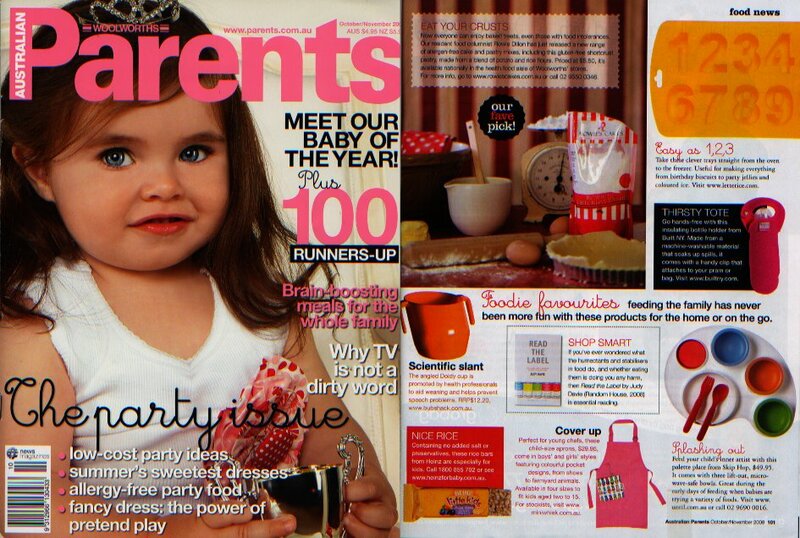 September 09 release of publication 'madeit recipe-zine edition 1' - (mini whisk bibs and recipe inclusion) - available for $6.00 from www.madeit.com.au. The A4 16 page full colour zine is a collection of 35 sellers favourite recipes that have been handpicked for you to enjoy. Put on the apron & let’s cook!! 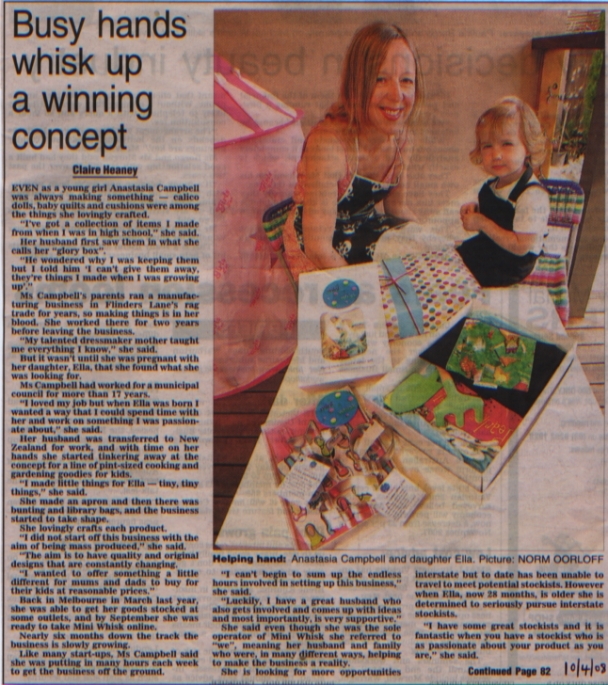 Herald Sun - Business Owner - Thursday 10th April, 2008 "Busy hands whisk up a winning concept".